For centuries, parents carried their offspring in slings around their back or front. Some tribes in Africa still do as it allows the mother to multitask. Using a wrap or sling frees mother’s hands and she is enabled to cook, clean and attend to other children while keeping her precious cargo close to her ensuring nothing bad happens to the child. 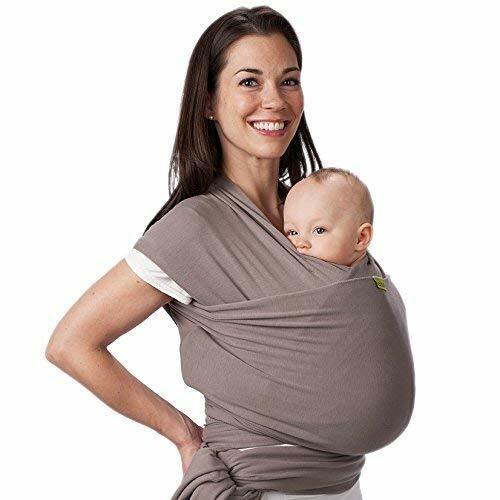 Plus, a wrap significantly reduces the pressure that arises on arms and shoulders from carrying the baby the traditional way (Source). Carrying your child using a wrap has been extensively studied and proven to have beneficial effects on both, the mother and the child. For instance, carrying your baby in the sling increases the production of the “happy hormone” called oxytocin in mother and the baby alike. This, in turn, makes the mother feel calmer and more enamored with her child. It enables a strong bond and rapport to be formed between the two and has been used as a tool to battle child distancing during the postnatal depression in women. Another great benefit is the lower chance of developing a syndrome called “flat head”. When not being carried, babies spend most of their time laying down thus the back of their head develops a flat spot. Lastly, babies that are carried with the mother throughout her daily routine have a chance of observing what she does and hear a variety of words thus improving their cognitive development. 1. Do you breastfeed outside? 2. How heavy is your baby? 3. Do you have problems with your back? Cuddle Bug was started by a businessman from the US after he once went shopping for babies items after his wife gave birth. He was shocked by the overpricing of basic items and so decided to launch his own brand that would prove that quality items don’t have to burn a hole in your pocket. He designed this wrap to be a long, soft and stretchy piece of fabric intended to be used around the shoulders to create a strong baby wrap that can withhold babies up to 30 pounds. It is made out of high-quality cotton threads woven with spandex fabric for elasticity. Moreover, it can double as breastfeeding cover and postpartum tummy belt. 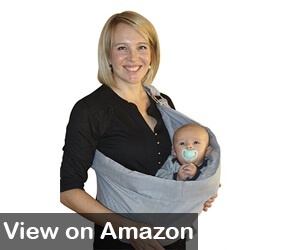 The wrap can be used in a number of ways, for example, you can carry your baby facing forward or facing you. You can wear it around the hip too. Furthermore, the wrap is made to be one uniform piece of fabric and has no irritating straps or buckles. You can choose from 9 different colors, enough to suit anybody’s color taste. 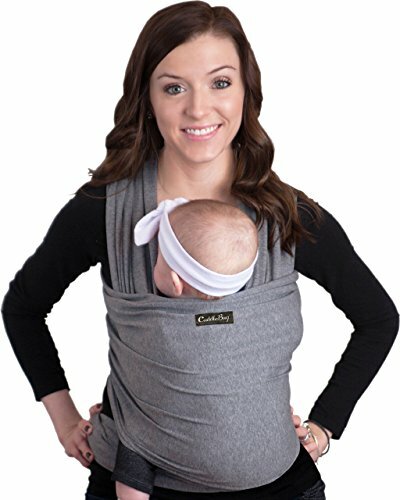 Another great feature of this wrap is that it easily supports the newborn head, not all baby carriers do this. 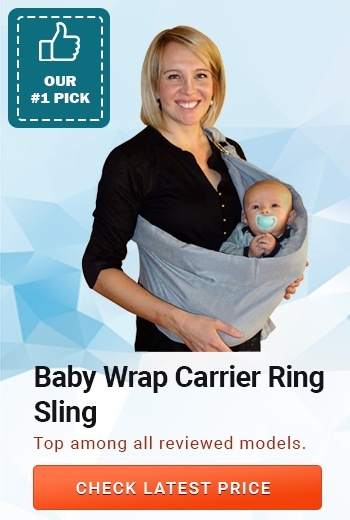 Kids N’ Such baby wrap comes with sling rings so that you no longer have to decide which one to buy. As your child will grow you can progress into using the sling rings to allow your child to have more mobility. This baby carrier wrap comes in 5.5 yards of soft, premium fabric that will suit all sizes- including dad! The fabric is on the thicker side and can be hot to wear during the warmer days. However, it will provide additional warmth to your precious load on the colder days. Dr. Eckhard Bonnet conducted a study not long ago and proved that carrier baby wraps position the baby in a comfortable way close to the mother’s womb thereby instilling a sense of security and ease in them. This helps calm a crying or whining baby and reduces the general stress they feel when they are taken to crowded and unknown places. The newborn baby wrap comes in a bag with 2 metal rings, 1 carrying pouch, and an instruction guide. Most mothers, especially first-time moms, are worried about leaving their child in the bassinet while they try to do house chores and attend to other things. A baby carrier can be a lifesaver because it allows them keep their baby a breath away from themselves yet have their hands completely free to do what they please. Plus, holding the baby the traditional way strains your back and hand muscles leading to a backache and sore biceps. Most women require at least 8 weeks after birth to fully recover. In this period, additional strain from carrying their new love will only prolong the recovery period. Having this baby womb world cotton carrier enables you to go places where a stroller would not be able to pass, for example, the beach. 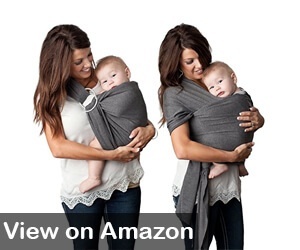 Also, this baby wrap is designed to hold your baby in a comfortable, frog-like position. This position allows for the child’s hips to continue developing correctly. 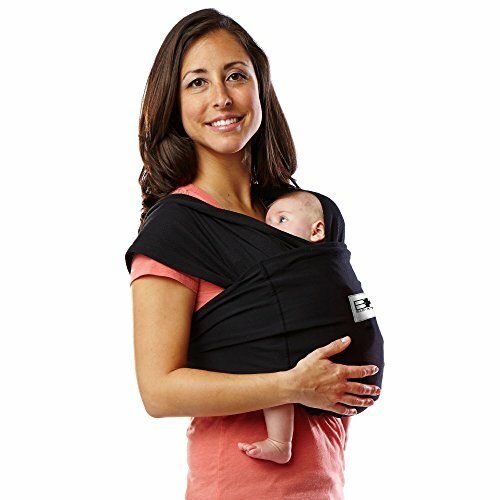 This sling wrap carrier is designed to be versatile and easy to use by all members of the household. It allows for the baby to be positioned in a womb-like position enabling the mother to keep a constant watch on the baby and allows for a strong bond to be formed between the two. It is designed to be shaped in a form that will maximize support for the fragile spine of a newborn and mimics the same posture he maintained during the 9 months that he was in the womb. 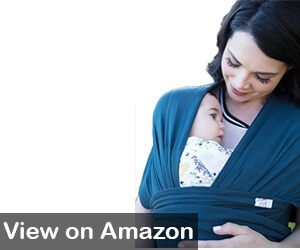 Moreover, the sling carrier provides enough lumbar support to the mother, making it perfect for long outdoor walks. It comes with easily adjustable slings and can be worn in 3 different ways. It is made using threads of Uzbek cotton woven with a small percentage of spandex to give it the required elasticity, comfortable feel, and shock absorption. Users have reported it to be very durable despite frequent washing machine rounds. The sling rings are made from durable metal and have a thin layer of padding to make the slings comfortable to wear. It can be worn in 3 positions; the newborn, social and hip position. The sling rings have been extensively tested and CPSIA certified. A lightweight, durable and soft baby carrier made by a trusted American brand. 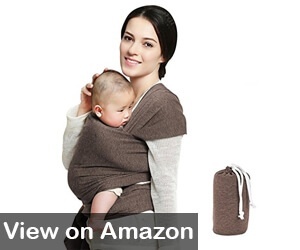 It doubles as a breastfeeding cover and a blanket for the baby. The fabric might seem very light to support an average baby securely, but its sturdiness has been proven through extensive and rigorous testing. The breathable fabric is perfect for newborns during the hotter months as it allows for air to go through and good ventilation is the key to a happy baby. The stretchable fabric allows the baby to move comfortably and not feel restricted inside. You can adjust it to accommodate multiple positions, including a front-facing one that will allow you to cradle the baby to sleep without difficulty. Bigger babies can be placed in front facing position allowing them to observe the world and learn new things. The fabric is made using organic substances without any toxic chemicals. The wrap is made out of pure, organic cotton and comes in one piece without any buckles or belts. It can be adjusted to fit most sizes, including men. Moms can choose from 3 different colors; gray, navy blue and stripped. Made in US under the supervision of industry specialists, it is designed to support both the mother and the baby. Designed from high-density cotton, it comes in solid brown color with soft edges. 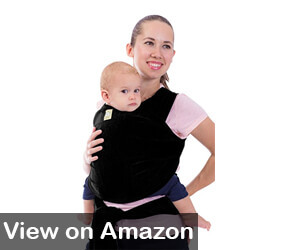 It is best used to carry newborns and babies up to the age of 4 months. Just like the models above, it can be adjusted in multiple ways to maximize the head and neck support provided to the baby. 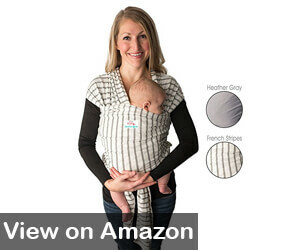 The baby will feel safe, close to you yet feel perfectly cool thanks to the breathable material. If any spills occur, you can easily toss it in the washing machine. Most new moms find themselves out of sync with their usual chores as they no longer have their hands free to do things around the house. With this baby wrap, you can go hands-free and get on with dishwashing, shopping, walking the dog or attend a much needed relaxing session of yoga! Just remember not to do anything that requires the hot stove or sharp objects. Kea babies is a New Zealand brand developed by a mother of twin boys. It got its name from a parrot that is native to New Zealand- the Kea. Hence, it has a cute parrot logo on the front of the wrap. It is made from a blend of cotton and spandex fabric. The correct proportions make the wrap still comfortable to wear in the hot weather while giving enough stretch to accommodate the baby. The tail can be tied on the front or the back, to give added support to the back. You can purchase it in black or gray; a unisex color in both the cases. Their ergonomic design spreads the pressure evenly to all body parts thus eliminating back and shoulder strains over a prolonged period of use. In addition, you can use it as a postpartum belt to help you slim down that pregnancy belly. 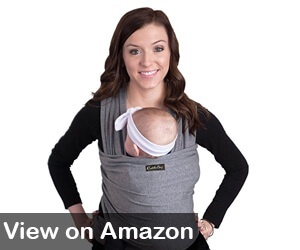 The only downside is that it can support up to a maximum of 15 pounds making it unsuitable for babies past 4 months. It can be a bit confusing to figure out how to wear correctly without jeopardizing the safety of the baby. However, Kea Babies, provide a detailed instruction brochure that has plenty of step-by-step photos. Plus, you can find tons of videos online and on their website too. The international market for baby carriers seems to grow every day, with new carriers at different price range entering the ever so growing industry. A new parent can quickly get confused about what style or brand to choose for the new baby. To help you determine the right option, here is a compilation of things you should keep in mind while shopping for a baby carrier (Source). If breastfeeding while carrying your baby is a priority for you, then you might want to consider a slingback carrier instead of a wrap carrier as it gives you more mobility. You can easily place your baby in the sling, adjust the right height, and get right down to business. The sling carriers are usually longer in length and provide enough fabric at the end to be used as a cover. 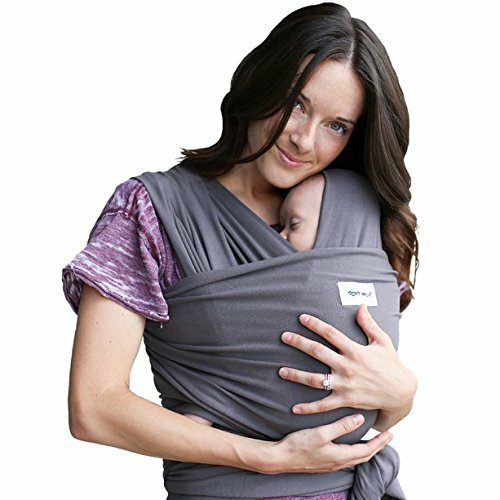 Baby wraps and sling carriers put additional strain on mothers back and shoulders, so heavier babies are best to be carried in ergonomic wraps that distribute the weight evenly and offer good lumbar support. 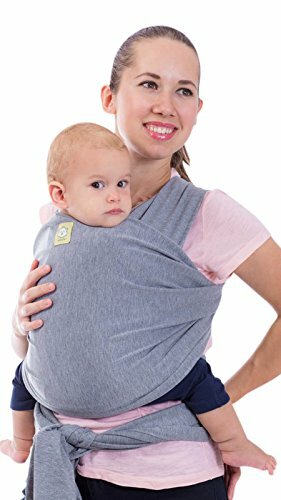 If the carrier wraps are too stretchable then the fabric starts sagging under the weight of the heavier babies requiring frequent readjustments. Baby wraps and slings strain your back and joint muscles aggravating the problem over time. In cases like this, it might be best to invest in good soft-structured wraps and carriers as they allow for the baby to be carried on the hip rather than the back or the front. Also, placing the carrier as high as possible changes the center of the gravity from your back thus easing the strain on the spine. Moreover, the wider the wrap the better as it enables the pressure to be spread over a larger area. We hope you enjoyed this piece of writing and will be on the way to pick up a carrier for your precious new member of the family today. Keep in mind the points we have mentioned above as they will ensure you pick the right baby wrap that will meet your needs. Lastly, if you notice a backache while using the baby wrap, don’t rush to blame your new purchase. Instead, we suggest you visit a doctor to see if you might need physiotherapy. Most mothers face backaches after giving birth, mainly because the spine gradually takes the shape it was in before pregnancy.